View More In Outdoor Holiday Décor - Page 2. 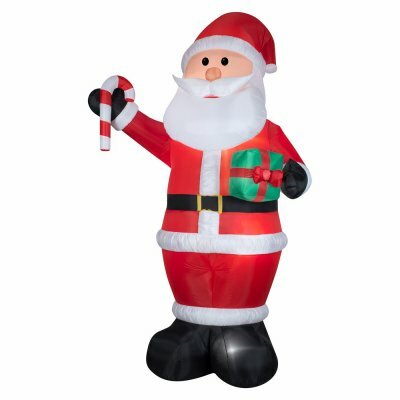 This product features a 12' giant air blown Santa with gift & candy cane, that is for either indoor or outdoor use. It self inflates in seconds as well. It is also durable and convenient to use. It is definitely a great quality product.